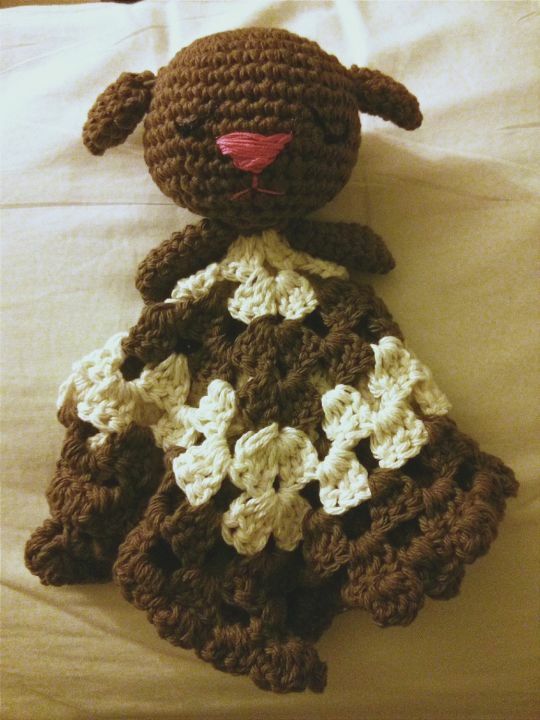 Crocheted with 100% cotton yarn. My first attempt in crocheting one of these Blanket’s. He turned out so cute, I think I might make more Animal Security Blankets.